Those who have negative past experience with electric sharpeners should take a look at Smith’s 50264 Adjustable Manual Knife Sharpener . If it ever happened to damage your blades with an electric gadget, that was probably not for you. To stop damaging your knives even further, opt for this reliable manual sharpener. 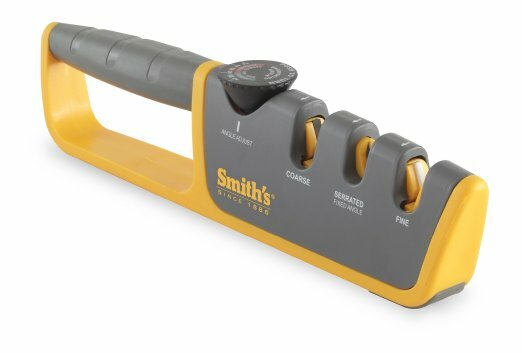 With Smith’s Adjustable Manual Knife sharpener you will control the process. The 50264 has some features you will not find on other sharpeners. It has two stages – Coarse + Fine for efficient grinding and for a good finish. It works with straight blades that have an angle on both sides, as well as with serrated ones. For the latter type, you have the fixed-angle slot. What I like the most about it is that it lets me customize the sharpening process and, at the same time, prevents any errors. This is the quick solution to your very dull or even damaged blades. If it’s a standard edge, you can pass it through both stages – the coarse and the fine one. Serrated blades have their own slot. On the average, it takes 20 seconds to sharpen one blade. The pull-through method is as easy as it gets. With the Adjustable Manual Knife Sharpener you can adjust the angle with precision. Thus, you can adapt it to a variety of knife types. Once adjusted, the abrasive parts will match the original factory angle. The dial provides 6 different angles. Adjust it, then pull the knife through the suitable stage. This involves far less work than other sharpeners would. Pull-through devices used to force a certain angle on your blades – not this one though. Considering this has gotten 4.4 out of 5 stars and 120 reviews at this point, it becomes obvious that Smith’s has released a quality product. Its design is enjoyable design and the price is small. 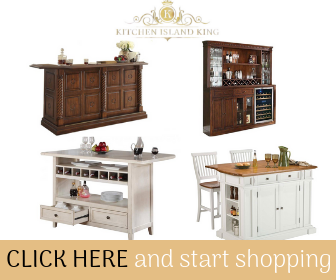 Customers are most excited by the fact that it limits their errors considerably. This is something you will not get with many other sharpening devices. If you are not a know-it-all, you can still use this safely. If you use the 50264 on a new knife, be gentle with it. Its grinding stage takes sharpening very seriously. Do not end up losing a lot of steel as you do the first sharpening. Don’t go full force from the start. Also, be careful not to modify the edge’s angle. Just pay attention to what setting you use on the dial. Smith’s Adjustable Manual Knife Sharpener handles European and Asian kitchen knives, along with tactical and survival knives and more. It can easily adjust the angle of the honing elements to match that of the blade. Also, it allows you to sharpen serrated edges manually. It’s very simple to operate, in spite of the lengthy instructions manual. The resulting sharpness is decent. The existing stages also make it appropriate for touch-ups. The device is great at restoring damaged blades and accomplishes this a lot faster than other sharpeners.